Field trips are an integral piece of the TK-8 curriculum and can include walking trips to City Hall, visiting the SPCA, experiencing the symphony, learning about the forces and motion at Levi Stadium, serving meals at Glide in San Francisco, and much more. Field trips can vary from year to year, and always offer an exciting adventure for learning outside the classroom. Overnight study trips begin with Fourth Graders traveling back to 1855 at Camp Tawonga to immerse themselves in the Gold Rush experience - where they dress and live like it’s 1855. The Fifth Graders embark on an overnight adventure to the Marin Headlands for five days of outdoor education. Sixth Grade students explore land formations and the water cycle in a place of breathtaking beauty, Olympic National Park in Washington. History, literature and Judaic Studies themes come to life for Wornick Seventh Graders during a trip through the American South exploring the country’s Civil Rights Movement up close. 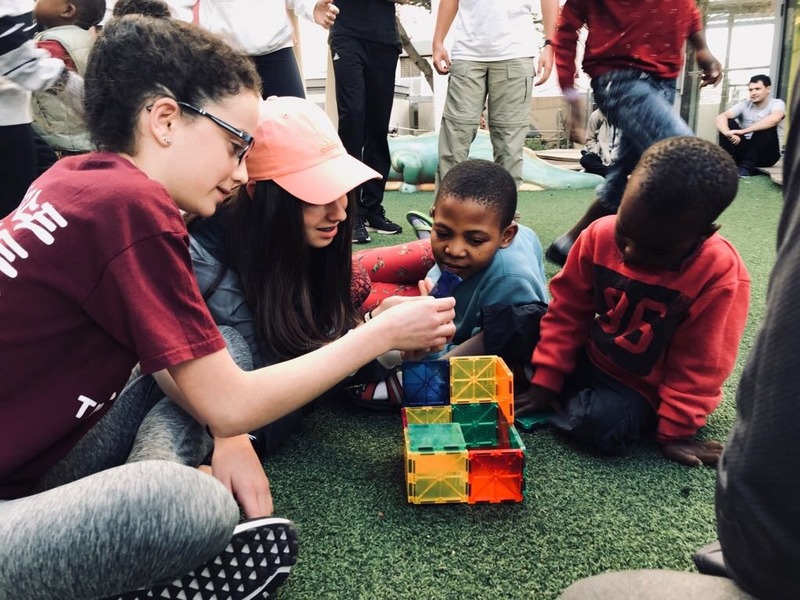 Eighth Graders put their Hebrew skills to work, hosting visiting students from the Reali School in Haifa, Israel and then meeting up with their friends again during their two-week trip to Israel. This is a culminating trip for our students after years of studying Hebrew, Judaic Studies, and History. Eighth graders volunteering at Save a Child's Heart in Israel.